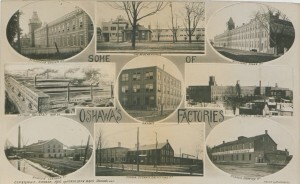 Figure 3.8 Postcards like this one were a means to promote the industrial culture emerging in towns like Oshawa in 1910. Canada was the first colony to industrialize, and it did so in the third quarter of the 19th century. Although well after Great Britain and Belgium, this was only a decade or so behind the United States, more or less contemporaneous with France, and well ahead of Germany, Italy, Japan, Spain, and Russia. Prior to the 1970s, however, Canadian historians did not realize this. Instead, historians debated whether industrialization resulted from Sir John A. Macdonald’s National Policy of 1879 or under the Laurier government at the turn of the century. Both sides attributed this late industrialization to an over-reliance on the export of staples: cod, furs, timber, and wheat. As the presumed centrality of political leaders in these narratives suggests, most historians considered industrialization to have been the result of federal government policy, rather than an organic maturation of settler colonialism. Starting in the mid-1970s, two complimentary but distinct new schools of thought changed this historical debate. In French Canada, influenced by the work of Stanley Ryerson, researchers at the Université du Québec à Montréal pushed back the start date for industrialization in Montreal to the late 1840s when, harnessing the hydraulic power of the locks of the Lachine Canal, the first large-scale factories were built. From the outset, this new research stressed the importance of social history, itself a reflection of the turbulent debates (at that time) over the national question in Quebec. Strikes by journeymen shoemakers over the introduction of machine tools and by carters opposed to the Grand Trunk railway monopoly were depicted as challenging the new industrial order, while the dire living conditions for the emerging working class became a major focus of historical work. Soon debates on method, particularly over how we should interpret census data, led to a considerably more nuanced view that challenged this early misèrabiliste literature; at the same time, careful analysis of work processes demonstrated the significance of gender to understanding working class resistance. More recent work has shown both substantial inter-generational social mobility, most strikingly among Irish Catholics, and a serious deterioration in the status of women. The focus has remained on Montreal, the financial and industrial capital of Canada until the 1930s, but detailed studies of moulders and iron workers in the Saint-Maurice Valley and ship’s labourers in Quebec City have shown how integrated 19th century labour markets were in North America. Meanwhile, in English Canada, a group of graduate students interested in labour history built on the pioneering work of Manitoban H. Claire Pentland (1914-78) to chronicle the industrialization of Toronto and Hamilton in the 1860s and 1870s. In 1975, these young scholars created their own journal, Labour/Le Travail. Rejecting traditional, largely institutional, labour history and highly critical of quantitative historical sociology, these scholars focused on working class culture. They argued that skilled male craftsmen drew on a “producer ideology”, which was highly critical of lawyers, merchants, middlemen and bankers, to develop their own alternate view of the world. This critical stance was presented by historians as a powerful and potentially revolutionary defence of the working man, one that spoke out strongly against prevailing business values. Workers made their mark in various institutions and movements including the Knights of Labor (which may have organized as many as one in five waged workers in Ontario during the 1880s), the struggle for a shorter working day, and print media – edited by “brain workers.” The significance of class conflict in Ontario has since been questioned by the suggestion that, there, industrialization was more a case of craft capitalism. More generally, the idea of a coherent working class culture has been challenged by the work of Ian McKay of Queen’s University. Initially he applied to the Maritimes the idea, developed by British historian Raphael Samuel (1934-96), that industrialization was not a simple process of factories with machines replacing older ways of making things. Rather, it was a complex process involving both hand and machine tools in an uneven development characterized by a limited number of factories servicing numerous highly competitive workshops and manufacturers. This complexity meant no single working class experience was ever possible. Indeed, this very diversity of experience contributed to the remarkable social stability of late-Victorian Canada, by impeding the growth of a shared sense of class. A new coherent critique of industrial society did emerge, but only slowly and it never represented all or even most of the working class. Furthermore, it shared rather than challenged the positivist, masculinist and — most importantly as Canada once more became a destination for immigrants — racist ideas then dominant in bourgeois society. Moving industrialization back a full generation or more changes how we conceive late 19th century Canada. Rather than a “peaceful kingdom” taking a constitutional road to democracy that slowly industrialized under the guidance of wise political leaders, post-Confederation Canada is now seen as a country struggling with the serious social and economic problems of early industrial society. Confederation, the purchase of Rupert’s Land, the numbered treaties, the Indian Act, the Métis rebellions, and the resettlement of both the Prairies and British Columbia are now seen in quite a different light. These events were all parts of a complex process of remaking the northern half of North America into an industrial capitalist society. Industrialization began earlier in Canada than in many other jurisdictions, and earlier than was long thought to be the case. Workers’ experiences of industrialization were diverse, which had consequences for the development of a working class consciousness. Industrialization brought in its wake significant social transformations and challenges. 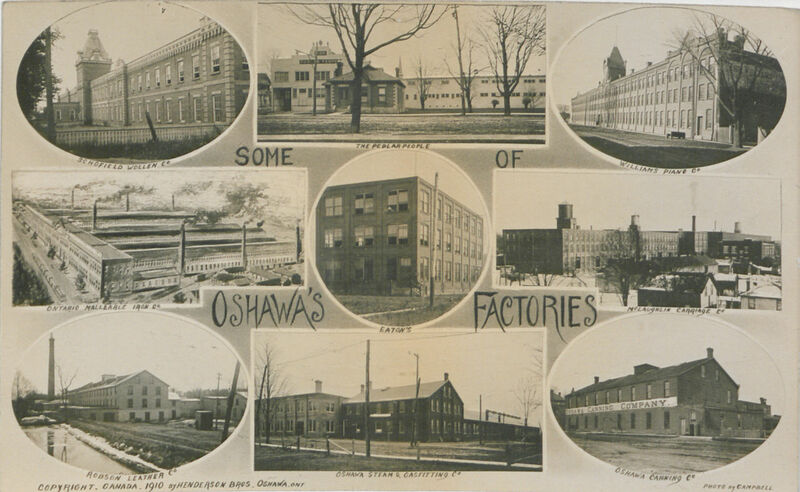 Oshawa’s Factories (HS85-10-22386) by LibraryBot (from the British Library) is in the public domain. 3.2 Industrialization, Labour, and Historians by Robert Sweeny, Dept. of History, Memorial University of Newfoundland is licensed under a Creative Commons Attribution 4.0 International License, except where otherwise noted.